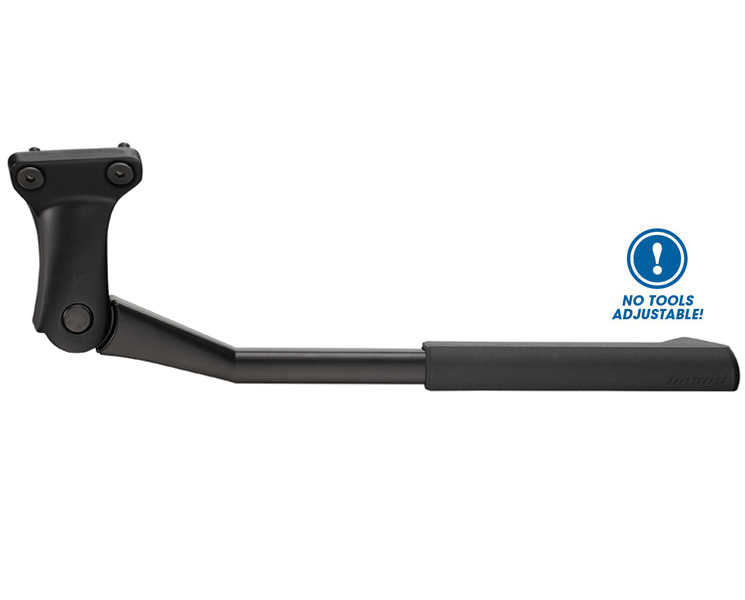 The Mooi Rear kickstand is the last born in Ursus. 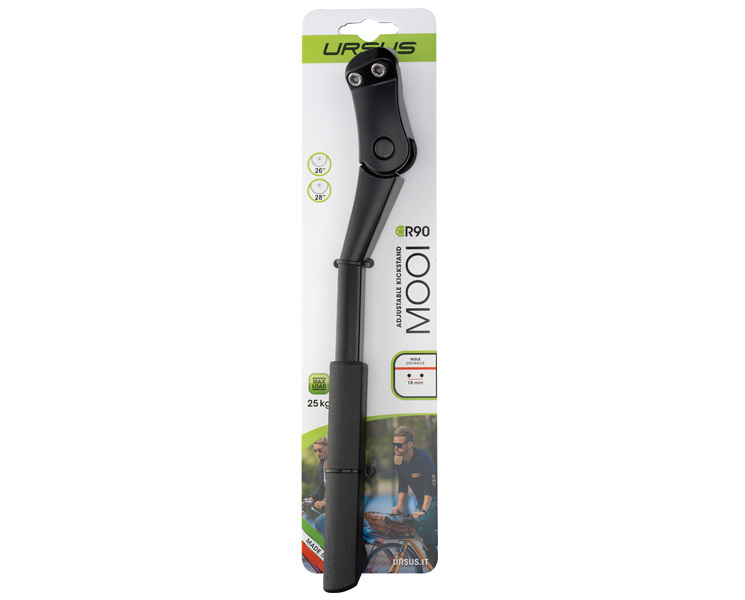 Use the same design of the Mooi, but with the head adapted to be coupled in the rear of the bicycle frame.This model of kickstand is particularly suitable for electric bikes and all bikes that do not allow to use a central kickstand. This propstand made in aluminum has a very nice design allows the bike to have a perfect stability. 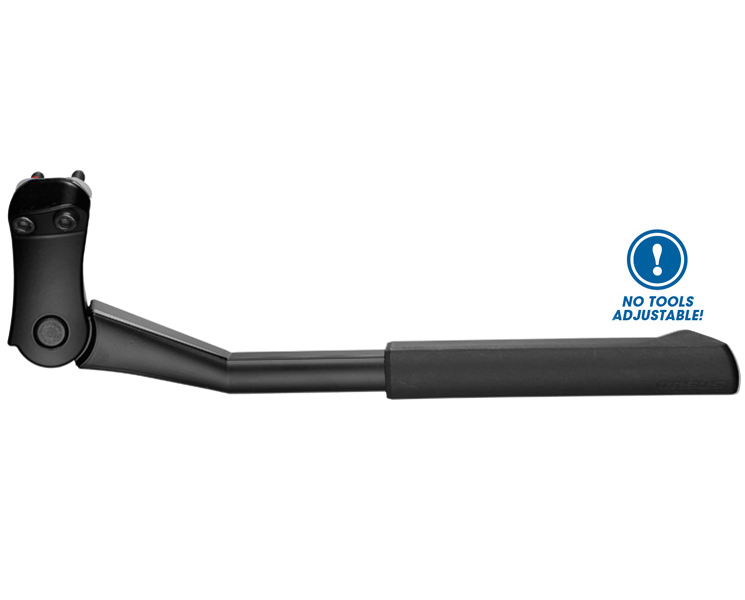 It is a stand adjustable in length and adaptable to any type of bicycle that allows to mount it. 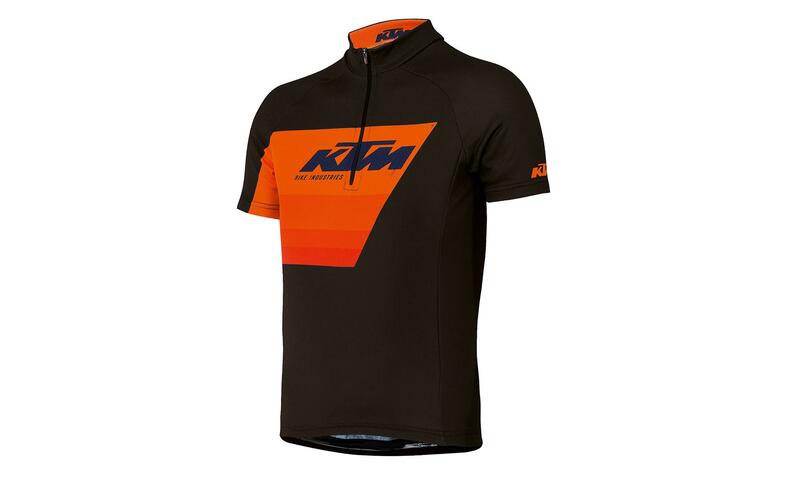 It is possible to adjust the length thanks to a button located at the back of the foot of the kickstand. Just press a button with your finger to decide the length.It’s entirely made in aluminum, its maximum load capacity is 25 kg and is suitable for bike 26' 'and 28' '. 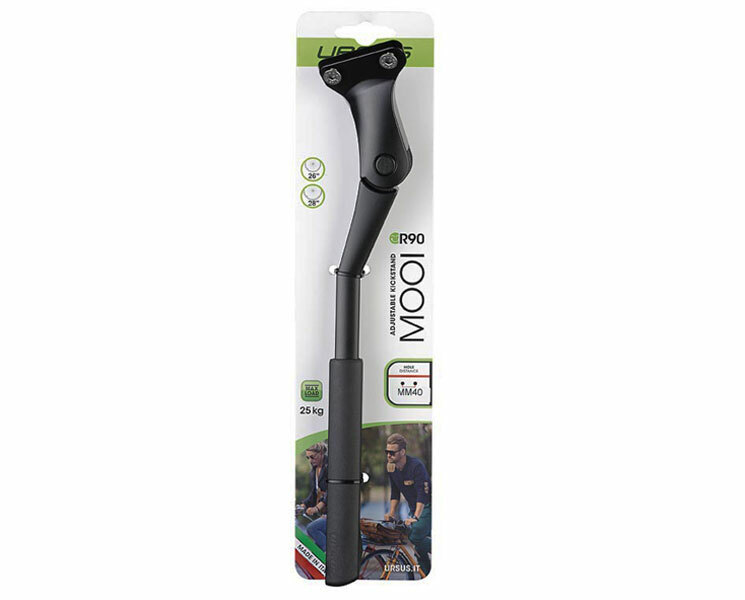 The plastic foot kickstand Mooi Rear is extremely strong and allows the kickstand to rely fully on the ground.